I came across an article by LaRae Quy that struck a chord. She provided 4 ideas on career advancement that seemed overly simplistic to me at first, but the more a read the more I understood her wisdom. Quy joined the FBI to make a difference, but soon learned that she'd need to get noticed by leadership before important cases would be assigned to her. Otherwise, she'd be relegated to second tier on the squad. There are many different kinds of mentor relationships. Some of them are formal and you meet at regular intervals to discuss your career goals or assess your progress. Quy found mentors helpful to some degree, but the most effective mentors were the ones whose leadership style she emulated. This one isn't always as simple as it sounds. Smile, be happy, be likable. Make friends. All it takes are straightforward gestures to make colleagues, and leadership, feel more comfortable with you. But don’t overdo it. There are times when you’re the star of the show, and other times when you work the backstage props. Become alert to the needs of your colleagues and offer to help them. By the way, be careful with criticism and snarky comments. Stay above the fray at all times. Leadership looks for people who create maximum workplace impact. Self-promoters tend to oversell themselves, and their talents, to get noticed by leadership. Often, they are unprepared when an obstacle rears its ugly head. Quy says, "To add value, you need to look at your job description as the place to start, not to end." Amen! I came across a salient article by Kate Lopaze of thejobnetwork.com about staying in touch with Internet content about you. That's right - Do you know what's being "said" about you across social media outlets, and the Internet in general? Apparently, it's something we all should be aware of. Ms. Lopaze suggests that we Google ourselves regularly. Negative information (remember that political rant you did on Facebook 10 years ago!?) can be "pushed" to the bottom of the pile by virtue of adding new, positive content (or get others to add it for you). Are we in a quitters economy? As unemployment nears a 50-year low, employees are quitting at unprecedented rates - almost 3% every month. The lesson? Don’t ignore a great candidate just because they’ve recently started a new job. The data says they might surprise you with their decision to move on within the first 90 days. Be sure to follow us on social media and mark your calendars for our holiday party and gift exchange on December 13! Go to www.UWITSC.com for more information! I read an article by Kate Lopaze yesterday that I found interesting. My conclusion after reading it is that using LinkedIn can be somewhat counter-intuitive at times. Or another way to put it, a user of the medium needs to understand what LinkedIn can and canNOT do in order to effectively leverage it. Keep your content current - seems like a "no-brainer", but it's tougher than you think! The PR Team Welcomes Sarah Parmelee! We are happy to welcome our newest Head Huntress, Sarah Parmelee to the Perceptive Recruiting Team! 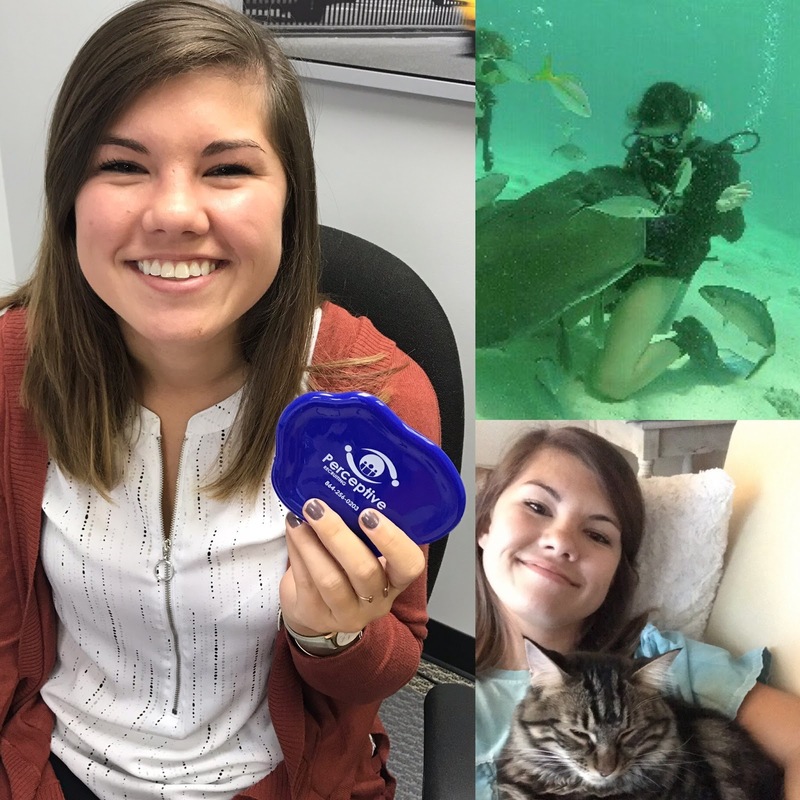 Sarah has a Bachelor of Science in Psychology from Clemson University, and comes to us with several years of Human Resource experience. Sarah enjoys outdoor activities like hiking, camping, scuba diving, and adventuring. FUN FACTS: She was bit by a sting ray and still has the scar to prove it, was almost robbed by a monkey in Costa Rica, and she is obsessed with her cat, Arya #gameofthrones. Upstate Women in Technology presented, “Mindfulness in the Workplace”, presented by Deborah Edwards for October’s meeting. Deborah, the founder of Grateful OM, is a Professional Mindfulness Coach and Consultant. 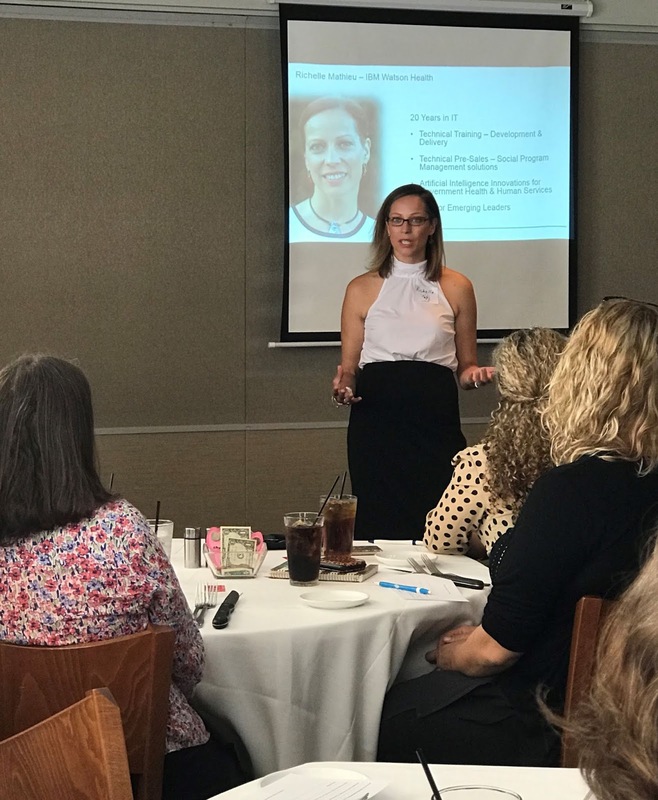 Her presentation focused on stresses in the workplace, the science of mindfulness and key benefits associated with mindfulness practices. THANKS to our attendees and Deborah for an informative presentation. We look forward to next month’s meeting on November 8! 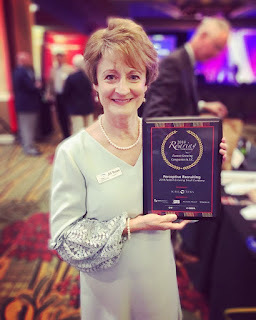 It's Official: Perceptive Recruiting is the 11th Fastest Growing Small Business in SC! A huge thank you to our wonderfully loyal clients and candidates who keep Perceptive Recruiting in mind for their #recruiting needs. A great big thank you to Rick Jenkins and his team at SC Biz News Magazine @scbiznews for providing us with such a glorious location! #smallbusiness #champion. 6 pound 4 ounce baby Alice bounced into our lives this morning! The PR Team are so excited to welcome our "first born" into the world. We expect Alice to be extremely bright and precocious given the fact she chose to be born in the midst of a hurricane! Welcome Alice, and congratulations to her excited parents! 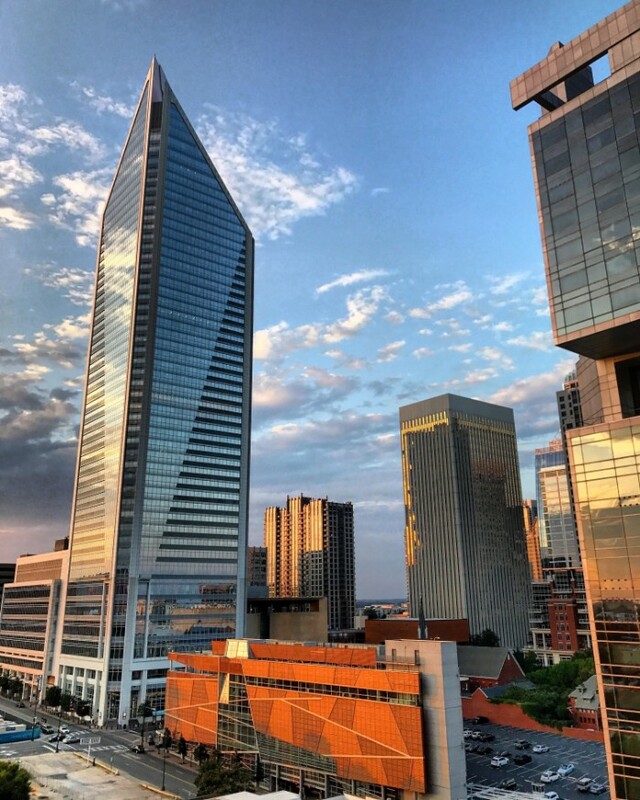 Greenville, South Carolina, recently ranked 21 in Verizon Business’ first annual “Best Small Cities to Start a Small Business Report.” Being in the top 10 percent in the nation, Greenville was named one of the top small cities for small businesses to grow and thrive. Those making the list of 50 small cities were chosen by Verizon analysts based on education level of the local workforce, in-city commute times, income per capita, broadband access, availability of SBA loans, and overall tax friendliness. Data was gathered from nearly 300 small cities with populations between 50,000 and 75,000 people, which is how the U.S. census classifies small cities. While Verizon is more popularly known as a cellphone service provider, Verizon Business also strives to provide businesses with a variety of tools necessary to operate efficiently. By Brian de HaaffCo-founder and CEO, Aha! Have you seen any of these gimmicky office designs? Candy dispensers in conference rooms. Hammocks and indoor treehouses. Tech companies tend to be the worst offenders with the startup favorites: beer taps and table tennis. Maybe there is fun for a moment when the candy bar drops -- but does all that money spent on gimmicks deliver anything meaningful for the people who work there? I have to wonder why company founders are trying so hard with these in-office "perks." I get that the goal is to create collaboration and fun. But I think this is doing more harm than good. And research shows that the problem is only getting worse. In fact, one study found that the number of people who say they cannot concentrate at their desk has increased by 16 percent since 2008. Also startling: The number of workers who say they do not have access to quiet places to do focused work is up by 13 percent. It should not matter where people are getting the work done -- as long as they are focused and working hard each day. This is one of the reasons why we founded Aha! on the premise and promise of remote work. Remote work is working for us. We are one of the fastest-growing software companies in the U.S. and a 100 percent distributed team. I am not alone in this belief. Plenty of studies and surveys show the power of remote work when it comes to productivity. With no office distractions and greater autonomy, remote workers have the freedom to get more done. This is something most people crave. According to a nationwide survey, 65 percent of workers said that remote work would give their productivity a boost. Another 86 percent said that working alone allows them to hit maximum productivity. Despite the distance, remote workers make the best teammates. This is because that distance demands more communication. Without being able to lean on physical proximity, remote workers must reach out to one another frequently and with purpose. This leads to stronger collaboration and camaraderie. And all those long-distance video chats? An astounding 92 percent of workers say the video collaboration actually improves their teamwork. Office life is littered with absences -- workers who are calling in sick or sneaking out early to run an errand or get to an event on time. But remote workers do not need to make excuses. Since they are not tied to an office, they can design their workday to meet the demands of their lives. If they have a cold, they can work from home without spreading the germs to others. And if they need to run an errand, they can handle it quickly without losing a workday. This ultimately makes remote workers more present for their work and team. These are just a few of the reasons that I say the most effective workers are the ones who do not work in an office. Remote workers are able to cut through the noise and focus on what really matters: meaningful work and being happy doing it. No beer taps or hammocks necessary. A new program that will provide free access to code education is being offered to all residents in South Carolina. The S.C. Department of Commerce’s Office of Innovation partnered with Build Carolina to offer the program, called S.C. Codes, statewide. The program will use state resources to connect students with industry mentors and to provide a path for continuing education and employment in technology-related fields. “The continued development of South Carolina's digital workforce is critical to ensuring future economic prosperity within our borders,” S.C. Commerce Secretary Bobby Hitt said in a news release. “Our ability to compete in the global economy will rely on the availability of an educated, job-ready technology workforce in South Carolina. S.C. Codes will help us develop such talent, preparing the citizens of this state for the jobs of tomorrow." The program started as a pilot project in 2016 funded by grants from the S.C. Commerce Innovation Challenge with BMW and the Greenville County Library System. The statewide platform uses technology created by coding bootcamp Iron Yard Academy, which was headquartered in Greenville before its 15 nationwide locations closed in July 2017. “The beauty of the platform is that anyone who wants to learn to code can access educational resources that are specific to the needs of employers right here in our state,” Lelia King, executive director of Build Carolina, said in a release. Build Carolina is a nonprofit organization that supports talent initiatives and innovative companies throughout the state. The S.C. Codes program is available to all residents with access to the internet and provides beginner and advanced curriculum. Classroom sessions will be available through local partners. According to an analysis by the Computing Technology Industry Association, a nonprofit trade group, state employment in the technology industry grew by nearly 2,520 jobs in 2017 and contributed $10.8 billion to the state’s economy. Upstate Women in Technology presents, “IBM’s Watson and Social Programs in the Cognitive Era”, presented by Richelle Mathieu. Richelle shared some of the innovative cognitive solutions her team at Watson Health built to transform the way social programs help the citizens they serve. TEN YEARS before man walked on the moon, a group of software engineers created the Common Business-Oriented Language—better know as Cobol— to standardize business computer programming. Not long after, in the early 1960s, Bill Hinshaw began plying his trade as one of the thousands of Cobol programmers working in banks across the world. Now, more than 50 years later, the 76-year-old coder is still working in Cobol, much to his amazement. Indeed, despite its advanced age, Cobol is still the most prevalent programming language in the financial-services industry world-wide. Software programmed in Cobol powers millions of banking transactions every day and underpins critical computer mainframes. And Cobol isn’t going away anytime soon. Banks and other companies have come to the uncomfortable realization that ripping out old mainframes is pricey and complicated. Transitioning to new systems is likely to take years, and besides, a lot of the older tech works just fine. The problem is that Cobol isn’t popular with new programmers. So, with a generation of Cobol specialists retiring, there is a continuing hunt to find a new generation of programmers to service this technology. In Texas, Mr. Hinshaw’s company, the Cobol Cowboys, a group of mostly older programmers, is training U.S. military veterans in the programming language. A host of companies offer online courses in Cobol in places like South Africa, India and Bangladesh. Developing economies are key technology-outsourcing centers for banks. Detractors say Cobol isn’t versatile and results in reams of code, because it is partly written in actual English words. It’s also used to configure mainframes, which isn’t exactly a career-enhancing proposition for young coders in an era dominated by cloud computing. Still, for banks that expect to be tied to their old technology to some extent for the foreseeable future, fluency in Cobol remains key. While a bunch of smaller banks have successfully ripped out their old core processing systems, no major bank has dared to do so, says John Schlesinger, chief enterprise architect at Temenos, a company that sells software to banks. The cost of a major overhaul and the risk of a botched upgrade leaving customers without access to their bank accounts are too great, he says. Several companies are making hay while the sun still shines on Cobol. Micro Focus International PLC is offering courses to some 400 colleges to train Cobol programmers. The company, one of whosespecialties is upgrading old computer systems, polled its customers last year and found that 90% plan to use Cobol systems for the next decade. 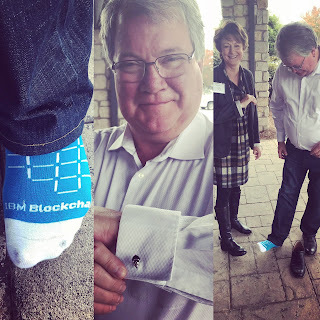 “We don’t see that demand going anytime soon,” says Derek Britton, who runs a unit at Micro Focus that modernizes old systems. Mr. Hinshaw’s Cobol Cowboys— the name is a nod to the Clint Eastwood movie “Space Cowboys,” about a crew of aging test pilots—has a team of some 200 freelance coders. The average age is around 60. “They can work when they want to,” says Mr. Hinshaw. When it comes to coding, age is in the eye of the beholder, says Mr. Hinshaw. Several other coding languages have comfortably slipped into useful middle age. For instance, the coding language “C”—one of the most popular of all time—is still widely used more than 45 years after it came on the scene. Good day, CIOs. Diversity is at the top of the corporate tech agenda, but scant progress is being made when it comes to expanding the ranks of women and minorities within the U.S. divisions of large companies, CIO Journal’s Sara Castellanos reports. Women were represented in 24% of technical roles this year, a slight gain over 2017, according to a survey of more than 628,000 technologists across 80 large companies. The study was conducted by AnitaB.org, a nonprofit organization aimed at increasing the representation of women technologists. A broader view of diversity. Black, Hispanic, Native American, Pacific Islander and multiracial women accounted for about 13% of the technical roles, according to the report, which did not measure racial diversity last year. The business case. 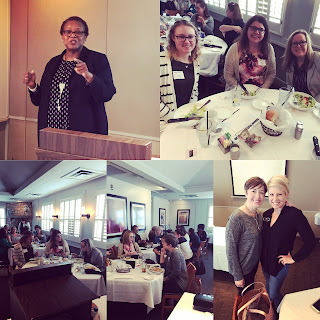 “Diversity in experience and diversity in thought is going to produce much better solutions for our customers,” said Mary Beth Westmoreland, chief technology officer at Blackbaud Inc., a cloud software company for nonprofit and philanthropic organizations. Blackbaud was among the 80 companies surveyed for the study, which included American Express Co., Alphabet Inc.’s Google and SAP SE. The term "team player" is so often used as an essential professional attribute that it’s become a well-worn cliché — but that doesn’t make it any less of a valuable skill to have if you want to be successful at work, regardless of your occupation or industry. Being able to work well with others and being regarded by your colleagues as an effective team player can lead to a wealth of promising career opportunities. People will tend to seek you out when assembling teams for projects (which are more likely to be successful when the members of your team work well together), peers and superiors will turn to you for collaborations that can enhance your visibility and profile, you’ll increase your chances of impressing your colleagues and others will want to support you and celebrate your success as you climb your personal career ladder. Although some folks seem to be able to work well with others no matter what the situation or mix of personalities they find themselves in, for others it’s not quite that simple. Not everyone is a natural team player, but everyone can become one with a little effort. Yes, your work environment and the nature of the work you do will go a long way toward dictating what makes an effective team player in your world, but there are some fundamental personal qualities that most! effective team players seem to possess — and use — to their advantage when opportunities to collaborate arise. If you have the following three qualities, be sure to use them to your advantage at work and keep them polished and sharp. Great team players typically have an abundance of patience in their reserves, which comes in really handy when juggling the diverse personalities and work styles of team members. It can be easy to get frustrated in collaborative work settings, especially when one (or more than one) team member is tough to work with or tries to exert unwanted control over the group, or when the project doesn’t go as well as initially planned. However, those who are known to be effective team members have the patience and self-control to keep themselves and others calm, cool and collected, which helps to keep colleagues and work projects on track. A close relative of patience, flexibility allows team players to roll with the punches when things get volatile or tumultuous during a group effort at work and can pivot effectively when a project takes an unexpected turn or requires a course correction. While some folks lose control when things don’t go according to plan during the life cycle of a project, those who are good team players are flexible enough to swerve when change is needed — without putting added stress or strain on their team members. Reliability is where the "rubber meets the road" on a project, and effective team members consistently deliver in this area. When collaborating on a project, they are well aware of what they are responsible for and make sure that they deliver as planned and on schedule, allowing their team members to focus on their tasks without having to worry about weak links, with the end result being that the collaborative effort becomes greater than the sum of its parts. If you set your sights on strengthening your skills in the areas mentioned here, you will improve your ability to work with others and gain a reputation as someone people can count on in any collaborative situation, big or small. Surging Business Sales Make Staff Retention a Must! "We lost maybe 25 percent of the overall workforce," Chow says. As the number of small-business sales keeps rising, staff retention is a priority – especially since low unemployment makes it easy for many workers to find new jobs. Transactions tallied by online marketplace BizBuySell.com show more than 2,700 small businesses changed hands during the second quarter, the most since the count began in 2007. The trend is being driven in large part by retiring baby boomer owners. Bosses should focus on the quality of employees’ work life, says Mike Astringer, owner of Human Capital Consultants, a human resources provider. Money, whether it’s in the form or a raise or a bonus, may not work in the long run. "The new acquirer and the seller need to really collaborate in the transition to make sure the culture not going to change, that the reason people work there is going to continue," he says. Critical to keeping staffers is not springing the ownership change on them at the last minute. That will only anger them and add to their anxiety and temptation to flee, Astringer says. "People aren’t praying at the altar of Martello. It doesn’t work like that," he says. "You’re giving them a sense of ownership instead of, ‘You’re going to be doing this, and you’re going to be doing that,’ " he says. Still, Proctor warns owners to expect some friction. "You also need to be realistic that there will be issues and disputes and you must deal with those with an open and frank dialogue with all involved," he says. It can be more difficult to retain staffers in some industries than others. David Crais, chief executive of CMG Carelytics, a health technology development company that has done several acquisitions, has found software engineers reluctant to be part of a company that’s growing by buying others. "Many times, they’re driven by wanting to be part of a building process," says Crais, The more an owner can align a staffer’s needs with the company’s culture, the greater the chances of retaining employees, Crais says. He considers an acquisition a success if 70 percent to 75 percent of the staff is still there 18 months later. "With each person, we sit down and talk to them, and ask, ‘What are you doing now, and what skills do you have?’ " Ahlberg says. "But most of the conversation revolves around, ‘What are your hopes and dreams. 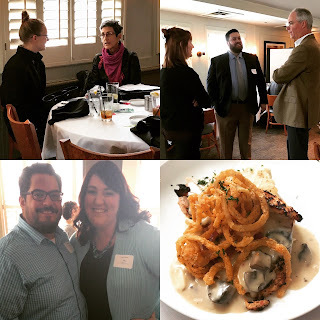 What do you want to be doing?’ "Those conversations must be ongoing, Ahlberg says: "We sit with everyone regularly to make sure they are heard; we discuss the company expectations and define what is expected of them. We try to leave nothing vague." Sometimes there isn’t much an owner can do. Steve Sargent hoped for an easy transition when he bought an automotive repair shop in Car y, North Carolina, in March and turned it into a Mr. Transmission/Milex franchise. He told the three staffers they could keep their jobs, but changes he made, including new technology to handle transactions and accounting, were troubling for the shop manager. Sargent provided training and tried to talk to the man, but couldn’t get him to open up about his frustration. "He always said he wasn’t going to leave," Sargent says. But nearly three months after Sargent arrived, "he called me and said, I can’t do this anymore," Sargent recalls. Sargent advises other owners to keep communicating, but be ready for people to quit. "Not everyone will make it through the transition, so be proactive about looking for replacements before a person leaves," he says. Perceptive Chosen as Fastest Growing in SC! Perceptive Recruiting has been named one of the 40 fastest-growing companies in South Carolina for 2018 by SC Biz News! 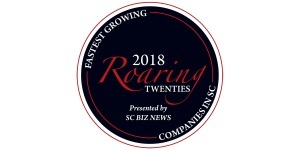 Twenty large companies and 20 small companies have been named to the statewide Roaring Twenties list presented annually by SC Biz News. This honor recognizes the state’s fastest-growing companies based on both dollar and percentage increases in revenue from 2016-2017. In order to qualify for the Roaring Twenties designation, companies must have a physical presence in South Carolina and be a for-profit entity or a nonprofit organization (EXCEPT FOR: government entities and charitable organizations, including 501(c)3 organizations. These types of nonprofits are not eligible). Company size was determined by gross revenue: A small company was considered as having $10 million and under in revenue. Large companies were classified as having over $10 million in revenue. Small companies must have had revenues of at least $500,000 each year for the years 2015, 2016 and 2017. Profiles of the winning companies will be published in the winter issue of SCBIZ magazine. The winners will be honored at an event on Oct. 25 at the DoubleTree by Hilton Columbia. Hiring a new employee is a time consuming yet a vitally important process. We take a look at some of the true benefits of using a trusted recruitment partner in the search for new employees. In business, time is money and using a Recruitment Agency is a time saver. They will save you time because they take care of the beginning steps of the hiring process. If you post a job opening on traditional job boards, there is a strong chance you will receive hundreds of resumes and applications for any single position. Out of the hundreds of applicants, a significant amount will not be qualified or will simply not be right for the job. Finding the right applicants to interview will take a great amount of time and effort. In addition to sorting through submitted applications, a Recruitment Agency will also have access to the best talent available. This includes access to talent that is currently employed elsewhere. These qualified individuals can work discreetly with a recruitment agency when they are looking for a new challenge and opportunity. Recruitment Agencies have their own database of qualified applicants that they can pull directly from. It is often assumed that bringing recruitment in-house will result in a saving of cost to the business. Cost needs to proportioned to advertising your vacancy, which can prove expensive if posting single one-off jobs. Recruitment Agencies will often have allocations on the all the top job boards, so you can ensure that your job is advertised in all the correct places. Administrative costs also need to be taken in consideration of facilitating the process, sifting through the CVs, initial conversations, the list goes on – these all take time, and as we all know time is money. A Recruitment Agency is also there to help negotiate the best salary, giving you guidance and advice on what is fair and appropriate, but also what you might need to do to guarantee that top candidate that everyone else is after too! The screening process when hiring has several layers. You need to run background checks on potential employees, follow up with references and conduct preliminary interviews to make sure the candidate matches the promises they make on their resumes. Again, these are vital steps that just take up time when you are conducting them on your own. A Recruitment Agency will see to it that these steps are taken care of before you meet anyone for your own interviews. You will feel assured that anyone you meet has already passed these tests. A good Recruitment Agency is going to have a proven track record of finding the right employees for the job. When you meet with their narrowed down choices, you can feel more confident with your final hiring decision. Working with a Recruitment Agency will help you make a more assured decision. Once you have developed a relationship with a Recruitment Agency that you trust, your future hirings will go even more smoothly. The Agency will be aware of the qualities that it takes to make the right fit within your company and what you expect from them. The next time you have an available position, you can fill it quickly and satisfactorily. For most people, filling the time in between jobs can be a real challenge. We want to make sure that we’re using this time to our advantage, but figuring out how to do so effectively — especially if it’s a longer time period than we’d like it to be — can be difficult. It’s really in your best interest to try to structure and make the most of this down time, both for your long-term health and happiness as well as to help set you up for your next job. connections comes up with a job opening that perfectly fits what you need and can offer. Just because you’re be tween full-time jobs doesn’t mean your time has to be completely work free. Many companies utilize contract and freelance staff for a wide range of projects. Consider seeking out opportunities in your field or in an area that fits your background and skill set; not only will it provide you with some income, it will also help fill in any lengthy time gaps on your resume. Plus, if you do a particularly good job on a project, you might be considered for a longer-term position when one becomes available. Keep your mind and skills sharp by continuing your education. You can pursue a subject in your professional field — which may help you during your job hunt — or you can take a class in a completely unrelated subject area that interests you. Either way, your time will be well spent. Another good use of your time and energy in between jobs is to volunteer. Not only will you be helping to support a worthy cause, you’ll also be keeping active and could even acquire some new skills. You may even discover some completely new interests, which may help reshape your! career aspirations. If things just don’t seem to be going your way and the amount of time that you’re unemployed is becoming a problem, then you may need to invest some time in coming up with a backup plan. Take some time to research alternate fields that interest you, industries where your existing background and skills may be easily transferable, and jobs that seem hot right now and have an abundance of openings. It may turn out that your backup plan pans out and leaves you happier and more fulfilled than your previous goals. Just because you’re in between jobs doesn’t mean that your time can’t be well spent. Use the strategies and advice presented here to make sure you’re using this time to your advantage. Eric Titner has been an editor and content creator for more! than a decade. His primary professional focus has been on education- and career-related topics. He currently lives in New York City. Candidate Q&A - Can I refuse to share my personal information? Question: We are a small company. The owners want us to include personal information on their social media pages and be part of a monthly newsletter to clients. For example, information about what we’ve been doing with our families or favorite recipes. This makes me uncomfortable, as I want to keep my personal and professional lives separate. The owners are making this mandatory. Can I say no? — Michele L.
A: Yes, you can say no. But let me suggest another approach that involves conversation and compromise. How about asking the owners to talk more about what they hope to accomplish by sharing such information? Many businesses are eager to take advantage of the personal engagement that can be developed through social media or newsletters. However, sometimes they haven’t thought about the risks associated with putting such information out there. Listen to their thoughts about why and how they want to use the information. Then share your concerns. You might mention that publishing employee photographs or personal family information could potentially expose an employee or her family to security risks. Remind them that once photos and info are public, the company has little control over where they may end up. You could suggest your company prepare an employee authorization/release to help owners understand they really should get your permission before sharing any personal information. Now comes the compromise part. If your employer insists all employees participate, consider a middle ground. You could agree to post a favorite recipe, a photo of the family pet or other information that has less risk of revealing personal information than your picture.This could help your company meet its digital engagement goals and still keep most of your personal business offline. Q: A recruiter requested that we FaceTime or Google Hangout as part of the interview process. This request made me uncomfortable. I pushed to meet in person, but the recruiter opted for a phone call. It didn’t go well. I feel the use of video is a way to potentially discriminate. (I’m in my 50s and African-American.) When I declined the video chat, it seemed as if the recruiter felt I was hiding something. What do you think about video interviews? Should I have said yes? — David L.
A: If you are unfamiliar with a new technology, it is understandable that it may feel uncomfortable, especially in the high-stakes context of a job search. But inevitably, the hiring process will reveal the candidate’s gender, race and age, so video interviewing doesn’t really present a significant additional risk. Video interviewing is a growing technology used by employers in recruiting and hiring, and it is not going away. Not only can video help job seekers make a connection with a company earlier in the process without the added expense and disruption of an on-site interview, it allows recruiters to interview more candidates face to face earlier in the process. Don’t let your discomfort with the technology be a barrier to using it. The secret to successful video interviewing is practice. Try out different systems and setups. Watch how-to videos on YouTube for guidance on lighting and camera angle. Get comfortable chatting with friends on free video platforms such as Zoom and Skype. Johnny C. Taylor Jr., a human-resources expert, is tackling your questions as part of a series for USA TODAY. Taylor is president and CEO of the Society for Human Resource Management.